Old-World materials like wood, clay and slate inspire all of our roof tiles. Our goal is to create a roof that has the classic design of centuries past with the durability available using today's most advanced manufacturing techniques and materials. This relentless innovation results in a roof that not only looks beautiful, but offers unsurpassed performance and protection to ensure the integrity of the structure. Whoever you are, wherever you live, whatever your style, Owens Corning has a shingle line that is right for you. Every Owens Corning shingle delivers beauty and performance. CertainTeed is a leading U.S. manufacturer of low slope and steep slope roofing products for commercial, industrial, institutional, and residential roofing and waterproofing applications. CertainTeed has served the roofing industry for 100 years, establishing a solid reputation for quality, reliability, and technical innovation. For the residential market, Atlas offers a wide array of shingle products to meet any budget or architectural design requirements. From traditional three tab shingles to the impact resistant UL Class 4 rated StormMaster, Atlas can meet your needs. 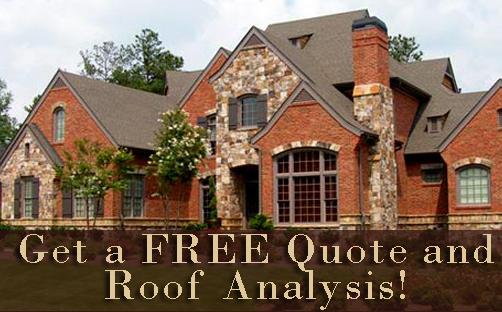 Helping to assure your best and safest choice in roofing. What Products Are You Most Interested In?